VTV.vn - The Comprehensive and Progressive Agreement for Trans-Pacific Partnership (CPTPP) has officially come into force in Vietnam as of today January 14. From this date, Vietnamese goods exported to countries that have ratified the deal will enjoy new preferential tariffs. With a deep level of commitment to tariff reduction, the CPTPP is expected to bring benefits to many industries in Vietnam, particularly textiles, garments and footwear. Regarding the Canadian market, for example, all Vietnamese textile and garment products will be subject to tariff elimination at the effectiveness of the agreement. According to statistics from the Vietnam National Textile and Garment Group (Vinatex), the textile and garment import revenue of Canada reached US$13.86 billion in 2018 including only US$814 million worth of imports from Vietnam, accounting for 5.9% of the total market share. Australia's textile and garment import turnover was reported at US$9.01 billion in 2017, including only US$256 million worth of imports from Vietnam, accounting for merely 2.8% of the total market share. Thus, Vietnam's textile and garment industry still has many opportunities to expand its exports when the CPTPP kicks off. Ho Chi Minh City accounts for one third of the country's textile and garment export turnover. Therefore, local enterprises are preparing to make good use of opportunities to increase exports to new potential markets including Canada, Peru, Mexico and others. Tran Huu Phuoc, Finance Director of Tran Hiep Thanh Textile Joint Stock Company, said that the company has invested VND1 trillion (US$43 million) in its textile factory with an annual capacity of 77 million m2 of cloth to prepare for the CPTPP. 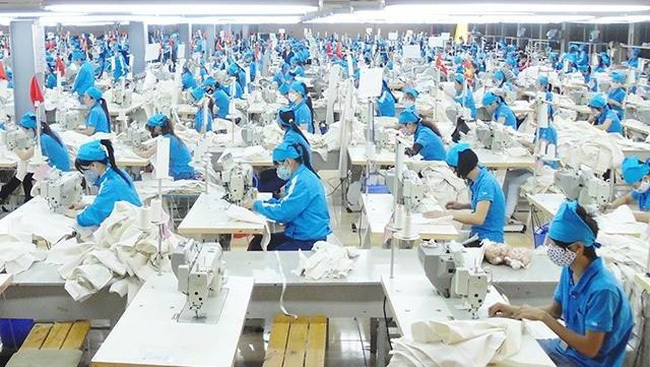 Chairman of the Ho Chi Minh City Textile and Garment - Embroidery Association, Pham Xuan Hong, said that enterprises in the association are all excited and are carrying out human resource training and changing technology and machinery in order to be ready to welcome "new air" from the CPTPP. Furthermore, enterprises have actively learnt about new issues in the CPTPP such as the environment, quality, origin of products, and others because these are mandatory regulations for countries participating in the deal. TNG Investment and Trading Joint Stock Company, the largest apparel exporting company in Thai Nguyen province, with more than 13,000 employees and a network of dozens of factories in the province, is also prepared to join the new playground. According to TNG Chairman Nguyen Van Thoi, the company has prepared conditions to meet the rules and standards set out in the CPTPP for five years and so far TNG has been able to meet most of the requirements in the CPTPP. In addition, TNG has planned to shift the import of materials to CPTPP member countries and build its own raw material factory instead of importing from countries that do not enjoy the many incentives of the CPTPP. Not only the business community, many local authorities have also made necessary preparations to effectively implement the CPTPP. Vice Chairman of Vinh Phuc provincial People's Committee Le Duy Thanh said that there will surely be a "wave" of foreign investors in Vietnam when the CPTPP comes into force and brings benefits to Vietnam. Vietnamese enterprises will likely meet difficulties due to weaker capacity compared to foreign enterprises, forcing them to promote research, investment in machinery and equipment, and improve management capacity and quality of human resources. Therefore, Vinh Phuc authorities have developed resolutions and offered many solutions to support businesses, while creating the best business environment for local enterprises to grow without intervention by administrative measures. Director of WTO Integration Centre under the Vietnam Chamber of Commerce and Industry (VCCI), Nguyen Thi Thu Trang said that Vietnamese enterprises are more proactive and willing to join the CPTPP. Businesses have learnt more about the deal and clearly defined their responsibilities as well as anticipated difficulties. 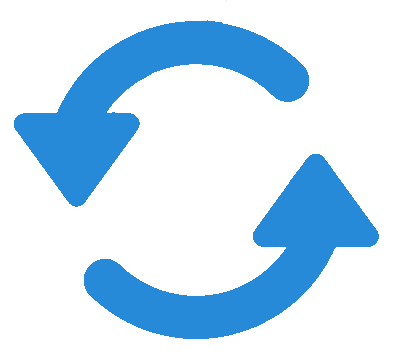 However, there are still many things to do in order to solve the difficulties due to limited capacity of almost all Vietnamese enterprises, particularly small and medium-sized enterprises. According to the preliminary survey results of VCCI, there are three main groups of issues that are hindering enterprises from taking advantage of opportunities from the CPTPP. The first issue is that businesses do not understand fully the commitments in the CPTPP because they are too difficult and complicated. Secondly, enterprises do not have enough confidence in the capacity of State management agencies in implementing the CPTPP as well as supporting enterprises to take advantage of the CPTPP. Finally, domestic enterprises have weak competitiveness in both capital and technology. Therefore, the Government, ministries, sectors and localities must provide consultancy and complete information for people and businesses on the CPTPP. In return, businesses should actively acquire information on the commitments related to their industry and sector. The most important aspect for enterprises is to focus on improving their competitiveness in order to cope with challenges from the CPTPP and fluctuations in the international trade situation. Economist Vo Tri Thanh said that the CPTPP is also a legal contract, requiring us to fully understand these legal issues to make the best use of the deal and protect our rights. Another special feature of the CPTPP is that it requires strong institutional reforms from the Government to further support businesses to take advantage of opportunities as well as limiting costs in the integration process. The CPTPP is considered an important milestone in the integration process of Vietnam. According to the assessment, Vietnam is one of the countries enjoying the most opportunities from the CPTPP besides big challenges. If the country can overcome the challenges, it will have a chance to make great strides, under which enterprises play the key role. It is expected that the Government will issue a detailed action programme for the CPTPP to ensure the smooth and effective implementation of the agreement. Enterprises also need to make more efforts to grasp the commitments in their areas to turnchallenges into motivation to renew technology, reduce production costs, and increase competitiveness in order to participate more deeply in the global supply chain.